Discarded debris found along the shore and having existed for varying amounts of time in the sea collectively convey a message about the marine environment. 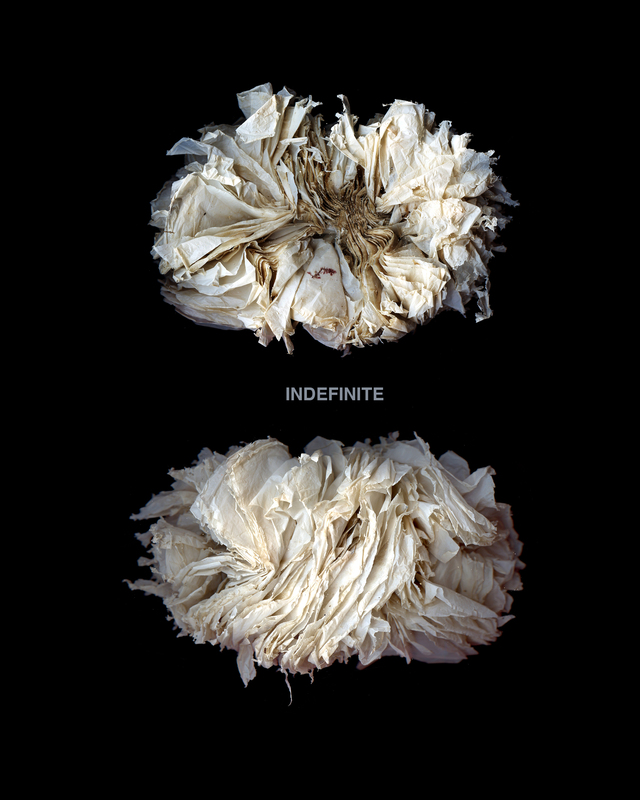 The images combine visual beauty with the message of pollution and the time it takes them to biodegrade in the sea. The book shows the series of 10 images representing an intuitive collection of objects as they were presented, on the shore, unwashed and unaltered and aiming to reveal a beauty not otherwise noticed. The form and shape of the objects take on the imaginative appearance of sea creatures, created from the very materials that prove fatal for the creatures themselves. Enveloping black space evokes a deep sea, presenting the emerging objects as creatures from beneath, whilst at the same time serving as a metaphor to the unknown depths of this vast global problem of pollution. The captions state only the number of years it takes each material to decompose, thus revealing a narrative in time, and ending with the indeterminate and Indefinite material polystyrene.